Seed Revolution Now! 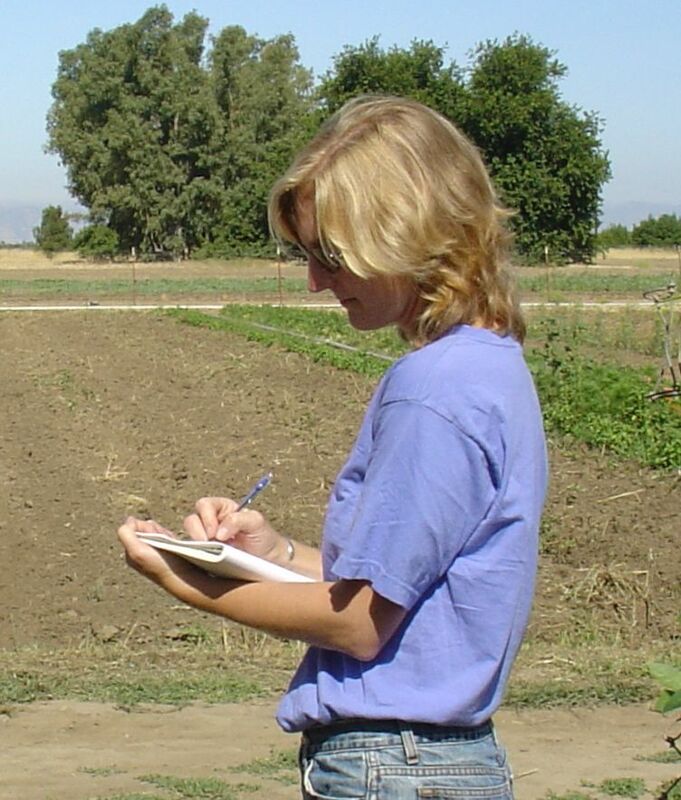 is all about promoting crop breeding for organic conditions. This installment is the tale of a successful breeding project in which we were involved. As we've stated, open-pollinated (OP) traditional breeding holds the key to a broad spectrum of genetic traits, including improved flavor and nutrition, storage ability, resistance to diseases and pests and other valuable characteristics. What is missing is a concerted breeding effort to carefully select for these attributes. 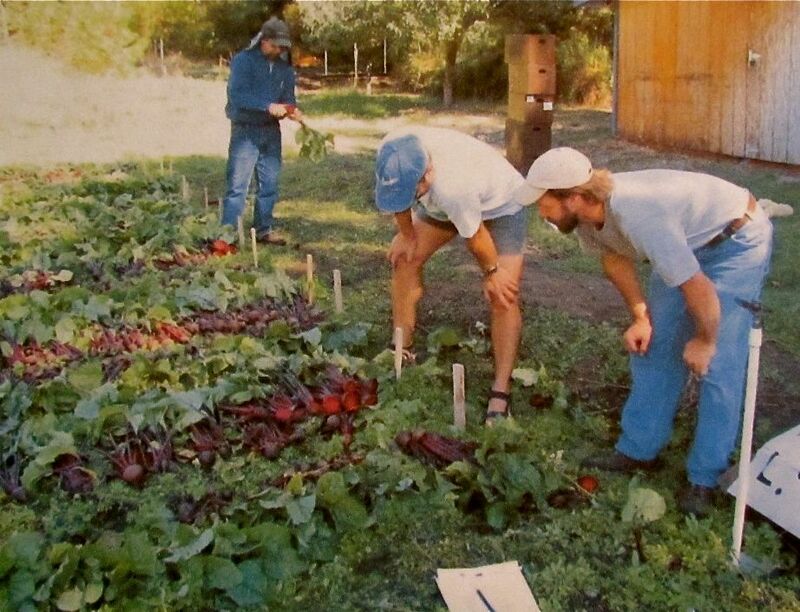 In the early 2000's Steve Peters was involved in a breeding project that drew together crop scientists from the Organic Seed Alliance (OSA), organic seed growers, and seed retailers in an effort to create a better table beet for organic cultivation. The goal of the group was to develop a genetically elastic phenotype displaying heterotic vigor, good performance under organic conditions, and acceptance in the marketplace. The picture above shows the result after about five years of breeding: Shiraz Tall Top. 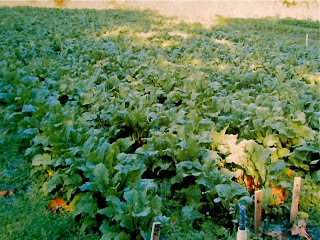 One of the main concerns of beet growers is Rhizoctonia solani, or Rhizoctonia dry rot, a fungal disease. 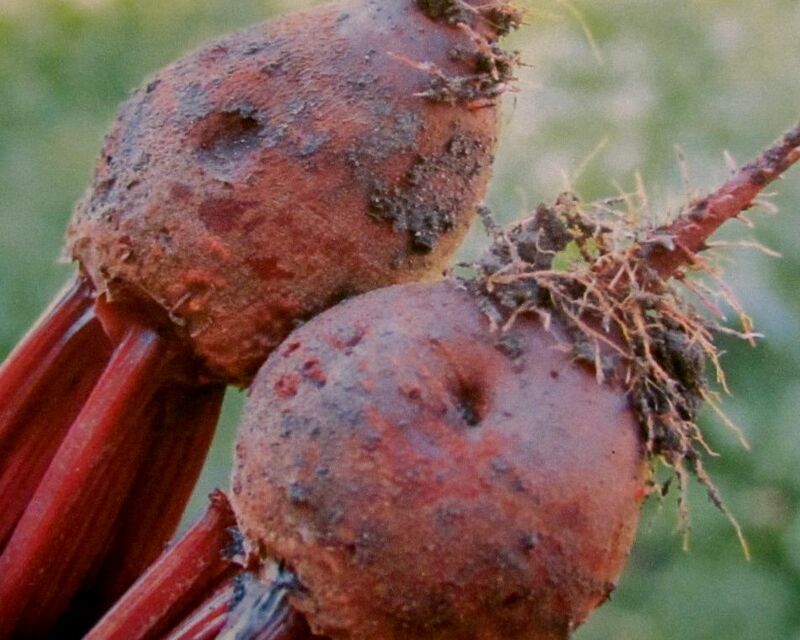 The photo above shows the typical rough, pocked skin of an infected beet, rendered unsalable by the disease. One of the goals of this breeding project was to develop genetic resistance to this common pathogen. 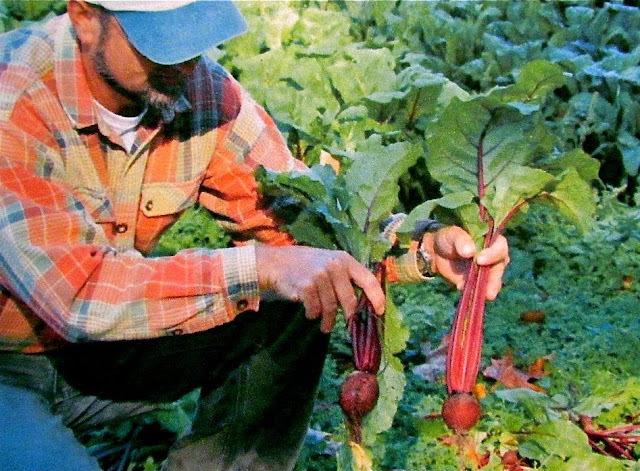 Before the collaborative effort began, OSA plant breeder Dr. John Navazio spent several seasons developing the base population of a new beet variety by cross-pollinating three genetically distinct heirloom beet varieties, each of which held certain desirable traits. His familiarity with many varieties made his contribution particularly valuable. Beets are in the Amaranthaceae family, related to spinach and chard. 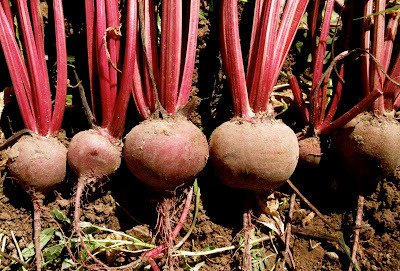 This root crop is a biennial, and requires two growing seasons in the ground to go to seed. 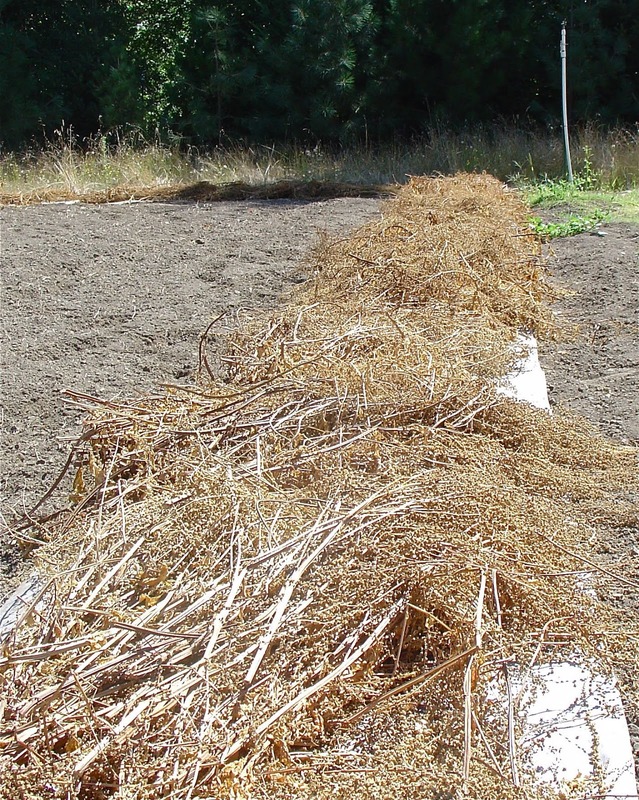 Roots may be pulled after the first season for evaluation, and the best ones stored over the winter in a cool (32-35 F) and moist (90% RH) environment. The next step was to grow this promising OP population side-by-side with another high-quality OP beet and the leading commercial F1 hybrid variety, for a comparison trial. 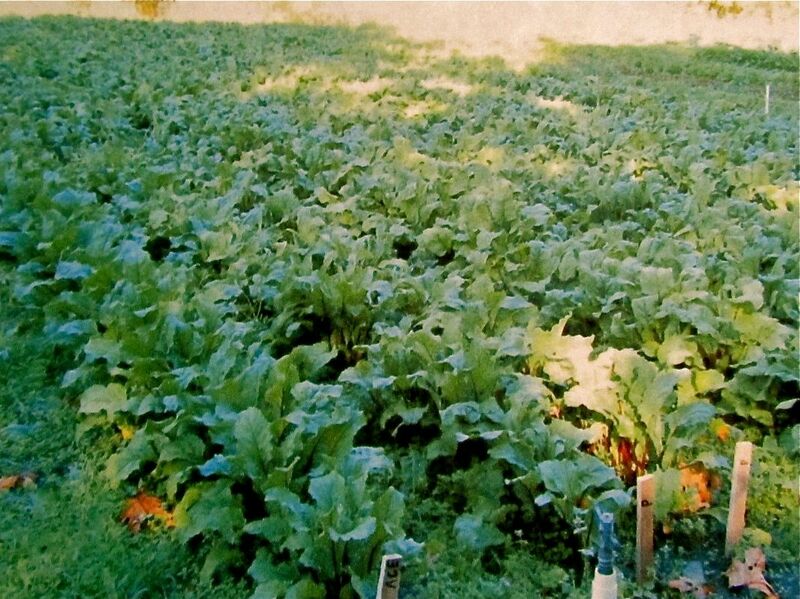 The field used was deliberately chosen because it was already infested with Rhizoctonia. 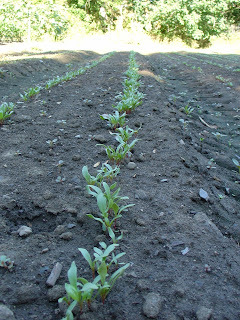 Each variety planting was replicated four times across the plot to eliminate field effects from soil and water variation. Over 3000 plants of each variety were grown. 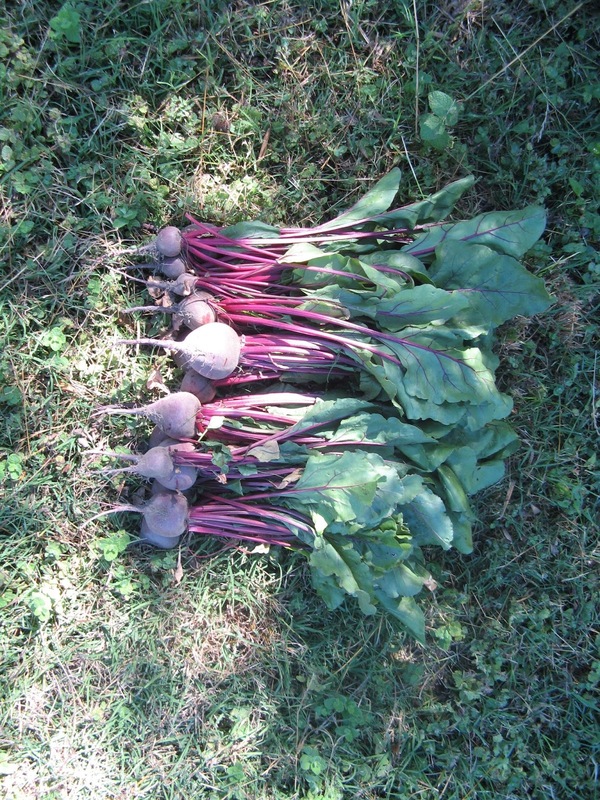 The beets were pulled at market-size maturity, and laid out for observation. 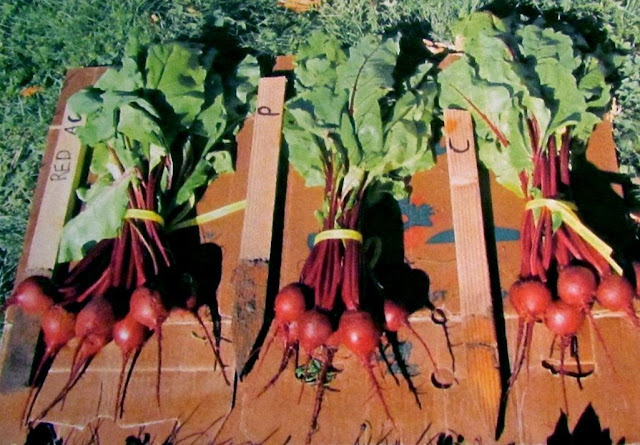 Traits evaluated included root smoothness (Rhizoctonia-resistance), root shape, and tops quality and vigor. Here, left to right, John Navazio, farmer Randy Carey, and farmer Tim Franklin, with researcher Micaela Colley (photographer), and seed company representative Steve Peters not shown. To the left is the standard table beet, Red Ace, an F1 hybrid variety. On the right is an early generation of the Shiraz project. Note the extra length of the Shiraz tops and the nice smooth skin and rounded shape, making it an excellent dual-purpose vegetable. Micaela Colley taking detailed notes on field trials; an often under-appreciated, yet essential component for making genetic improvements. Here are the three varieties that were trialed. From left to right: Red Ace F1 Hybrid, Pronto, and the breeding population that was to become Shiraz. 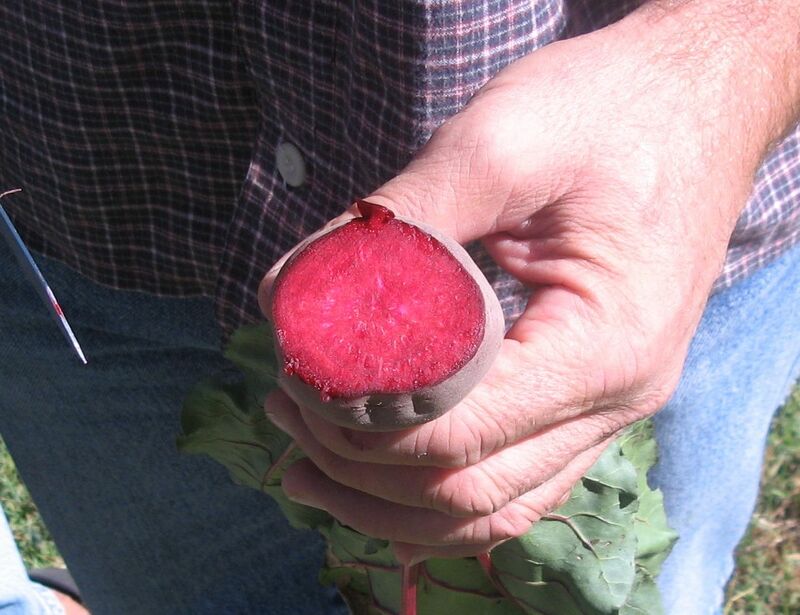 It was determined that the Shiraz was potentially a superior beet to existing commercial varieties, and was worth developing. From the original 3000+ roots of Shiraz, the very best 500 (16%) individual roots were chosen to be placed in cold storage and replanted the following spring in a different location. 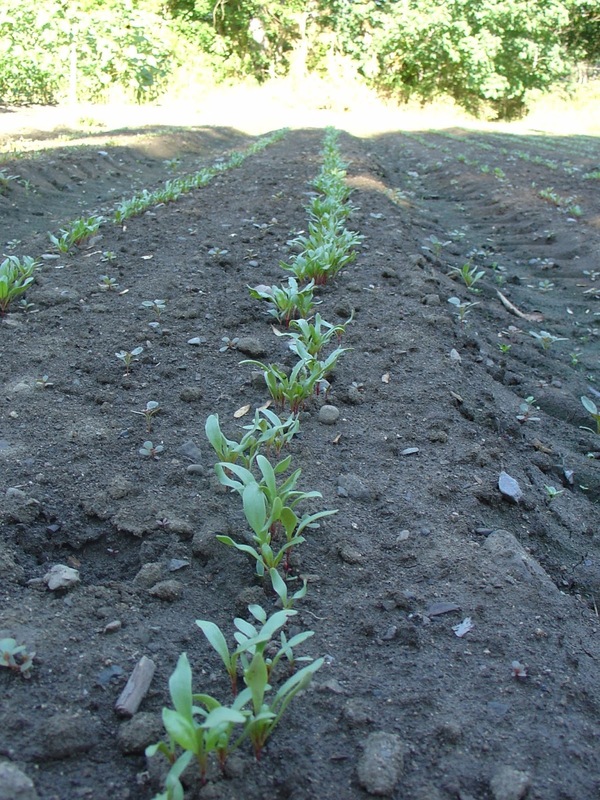 The roots were replanted in a disease-free field on the same farm, to ensure the best possible outcome for seed production. The resultant seed was harvested that fall. Farmer Randy Carey discusses beet selection for Shiraz grow-outs with seed technician and researcher Emily Skelton at his Oregon farm. In this early generation of Shiraz, notice that we have good healthy tops and smooth-skinned roots, but the form is more heart-shaped than round. This was improved in subsequent generations. The following summer, we repeated the process, planting the newest generation of seed on disease-infested ground once again, for yet another hard selection. Ten thousand roots were grown, and only 700 (7%) were saved to be replanted. The following year seed was collected from the replanted selected roots. Each generation was compared to Red Ace for quality evaluation. While root shape uniformity was a little better in Red Ace, Shiraz had significantly smoother roots and larger and more vigorous tops. At this point it was deemed ready for production. 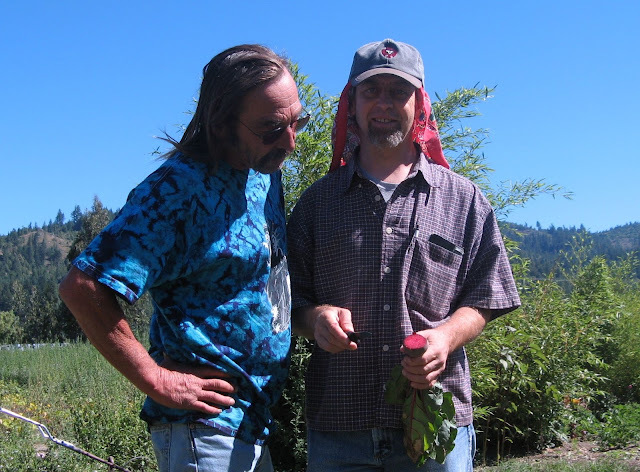 After the original selection process was completed to the satisfaction of the collaborators, it was sent to anther certified organic seed grower, farmer Bill Reynolds in Northern California (left, shown with John Navazio), to multiply the seed to commercial quantities. As an open-pollinated strain, Shiraz offers the opportunity for continued selection for further improvements. These might include adaptations to local bioregions, more disease resistance, improved interior color, or higher sugar content. For anyone interested in pursuing crop breeding and vegetable seed production, Dr. Navazio's recent book, The Organic Seed Grower is an invaluable resource. 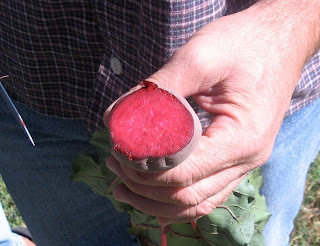 For observation of interior characteristics, a vertical wedge may be sliced from a beet root (not a horizontal slice as shown above! 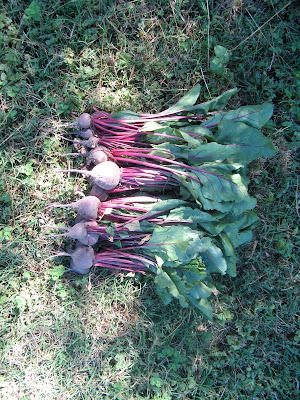 ), and a beet showing the desired traits can still be stored and replanted successfully. After flowering and going to seed, plants are allowed to dry before cutting. 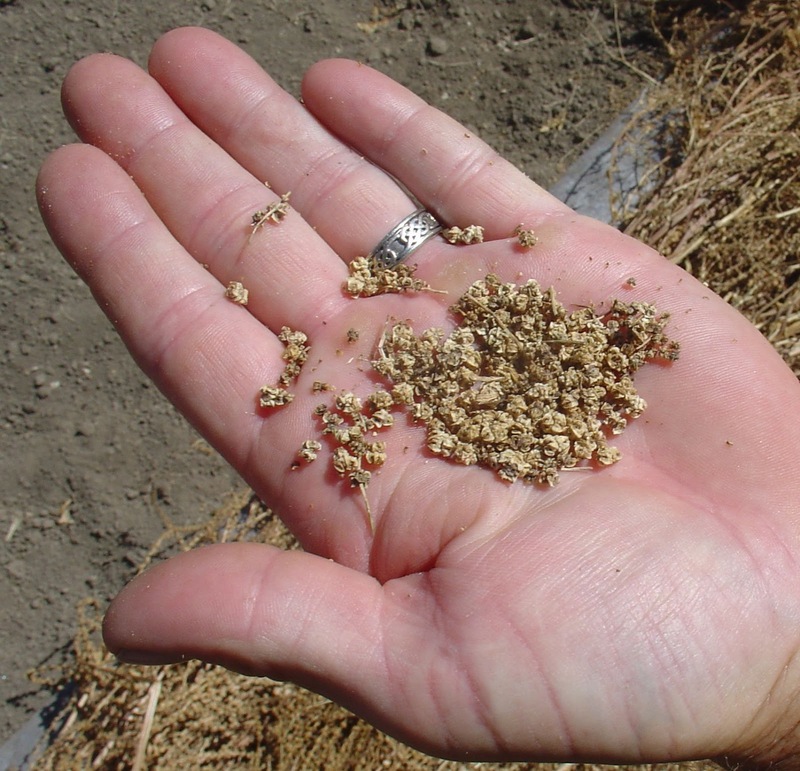 It is important, however, to harvest before the seed "shatters" and is lost to the ground. 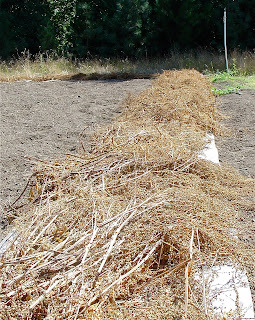 Harvest just before fully dry, and finish drying on a tarp. 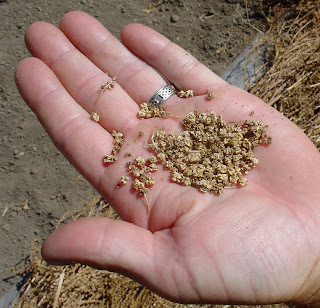 Beet seed may be hand-threshed from the chaff, and cleaned with simple winnowing and screening in a small-scale production. Seed should be stored in a dark, cool and dry environment. It should remain viable for at least five years. Shiraz Tall Top Beet is a valuable new cultivar for organic gardeners and farmers. It is a good example of how OP breeding can be accomplished by anyone willing to put in the effort. 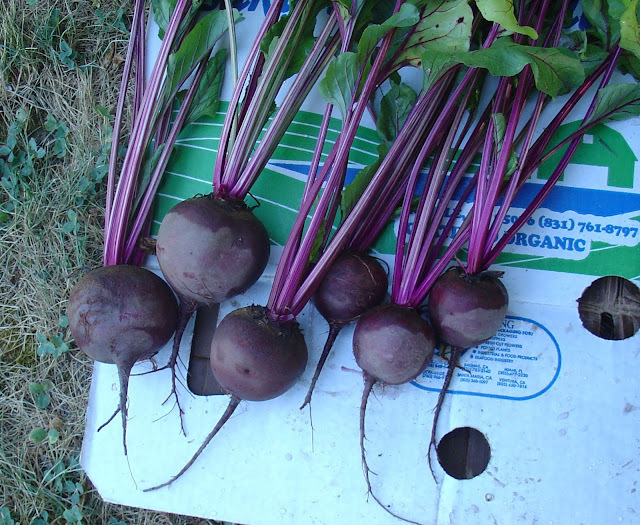 Certified Organically grown Shiraz Tall Top Beet seed is available through Seed Revolution Now! Contact Steve Peters at stevegrows@gmail.com for quantities up to ten pounds, and the Family Farmers Seed Cooperative for one ounce to one pound. I have been creating artwork my entire life. I majored in art at UCSC, and have continued to pursue creativity in a great many different ways ever since. I paint mostly in oils and acrylics, as well as doing graphics. I have done everything from creating murals and canvases, to tattoo and t-shirt designs. I have a website with Cafe Press where some of my paintings are available printed on t-shirts and other objects. You can go to that site by clicking on my profile, below. 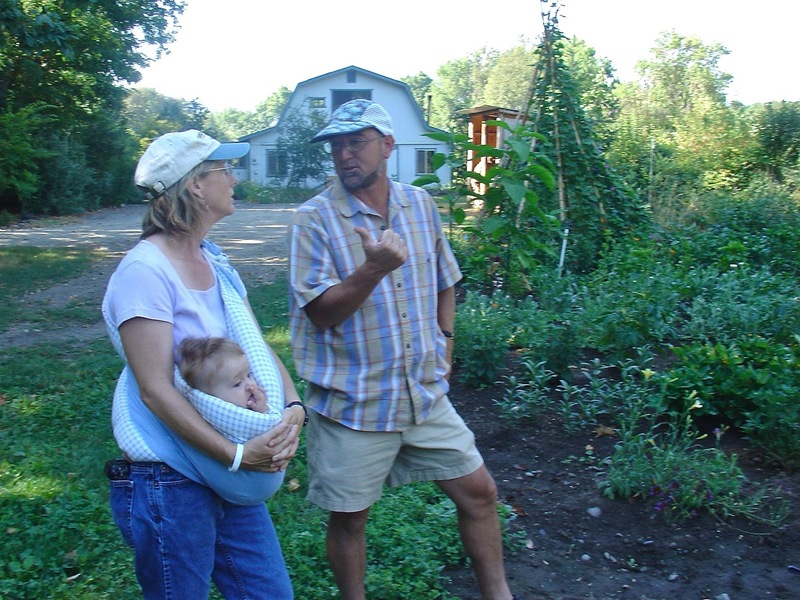 I am also a dedicated organic gardener, having created vegetable and ornamental gardens across the country for almost forty years, I strive to learn how humans can live upon the earth in a way which promotes life, balance, and beauty. This interest has led me to Permaculture, which I try to integrate with aesthetic consideration. I am available for landscape and garden design and consultation. My approach is to work in harmony with the givens of the environment, using strictly organic gardening techniques. I consider gardening another medium for my art.